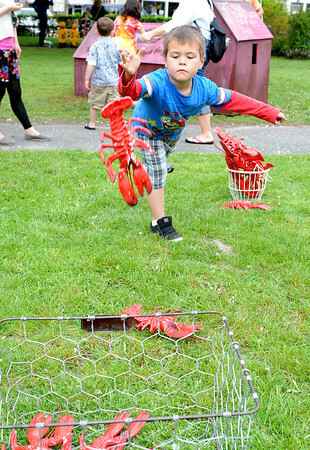 Rockport: Kaikoa Birtodaso 5,of Rockport tosses plastic lobsters into a wire basket at Motif#1 Celebration Day Saturday afternoon. Get three in, get a free tattoo. Desi Smith/Gloucester Daily Times.